The UAE remains the No.1 construction market in the GCC, and is on track to deliver growth in 2018 in the lead-up to Expo 2020 while the overall sentiment across the region's building sector shows a steady improvement, a new survey revealed. 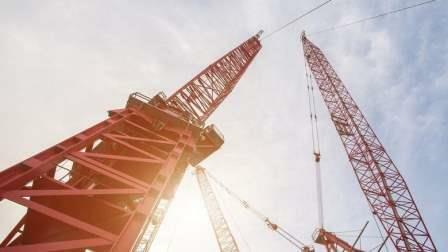 With 38 per cent of survey respondents expecting the country to provide construction sector the most opportunity over the next 12 months, compared to 35 per cent in 2016, the UAE continues to top the charts when it comes to overall optimism and ease of doing business, according to findings from Pinsent Masons' GCC Construction Survey. While ongoing concerns relating to delayed payment, the rising cost of capital and increased number of disputes, continue to linger on, the overall sentiment in the GCC's construction sector has improved over the last two years by seven per cent (from 32 per cent to 39 per cent), according to the survey. The UAE also continues to top the charts when it comes to overall optimism and ease of doing business. An overwhelming majority (89 per cent) of respondents stated the UAE is the easiest GCC country to do business. Oman followed in second place at 46 per cent. Dubai, in particular, is viewed in a positive light with 71 per cent of respondents viewing the emirate as the most appropriate location to solve regional disputes. Presented to industry professionals at Pinsent Masons' Annual Construction and Engineering Law Conference, the report provides a snapshot of opinion from the GCC construction sector where the majority of the companies are involved in projects with a value of over Dh500 million. A recent study by Mena Research Partners shows that the GCC construction market recorded a 30 per cent pick up till the fourth quarter of 2017, showing relative resilience in its performance. Despite the recent headwinds that extended from oil price slump to budget adjustments in many GCC countries, the region witnessed $130 billion of completed projects during 2017, versus $100 billion for the full-year in 2016. Such numbers remain at par with an annual average of $135 billion during the 2009-14 period, said the Mena Research Partners study pegs that total value of active GCC projects at around $2.6 trillion - equivalent to 160 per cent of GDP. "Optimism towards the GCC's construction sector saw an increase from our 2016 survey, despite ongoing challenges with lower oil pricing and headwinds facing the private non-oil sector," said Sachin Kerur, head of Middle East region at Pinsent Masons. "The UAE is set to see an increase in the number of projects during 2018 and we expect the country to remain in top position, particularly in the lead-up to Expo 2020," said Kerur. While the Pinsent Masons survey indicates a slight rise in overall sentiment, the findings revealed that 20 per cent of those surveyed across the GCC expect their order books to decline by more than 10 per cent in the coming months, compared to 16 per cent two years earlier. On contract conditions, 86 per cent of businesses said they had become less favourable during 2017, representing a similar sentiment in 2016, which stood at 92 per cent. In addition, a significant number of companies (86 per cent) said payment periods were longer in 2017 compared to the same time last year. Some 67 per cent of respondents stated they were involved in more disputes during 2017 than had been expected before the year started, as opposed to 59 per cent in 2015. Additionally, a sharp rise in positive sentiment towards Saudi Arabia was noted, with 29 per cent of respondents expecting the kingdom to provide the most opportunity over the next 12 months, compared to just 11 per cent in 2016. "While analysts predict a slight economic revival across many GCC markets during 2018, the survey results are indicative of what has been a challenging time for the construction sector - which has grappled with the impact of lower oil prices and ongoing geopolitical tensions," said Kerur. Close to 60 per cent of respondents believe power (including renewables) will offer the most opportunities during 2018. Meanwhile, sentiment towards the real estate sector improved with 32 per cent of respondents expecting growth from this sector in 2018, compared to 25 per cent in 2016. The survey report said that with public private partnerships increasingly being used as a means of attracting more inward investment.